Caramel is one of the most delicious hues. 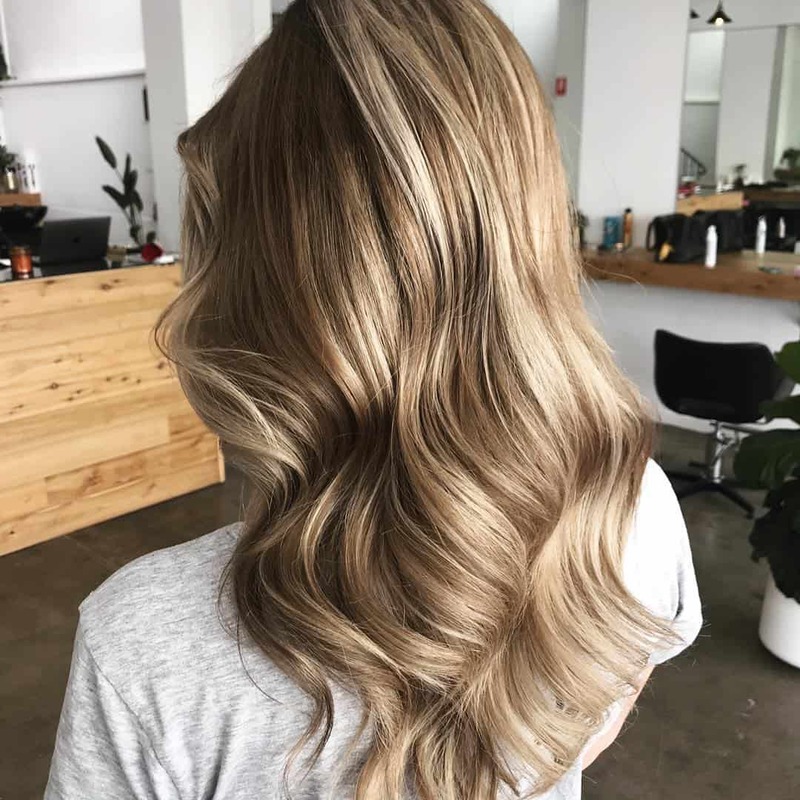 And that makes caramel highlights incredibly enticing, and an excellent choice when you want to spice up your hairstyle. 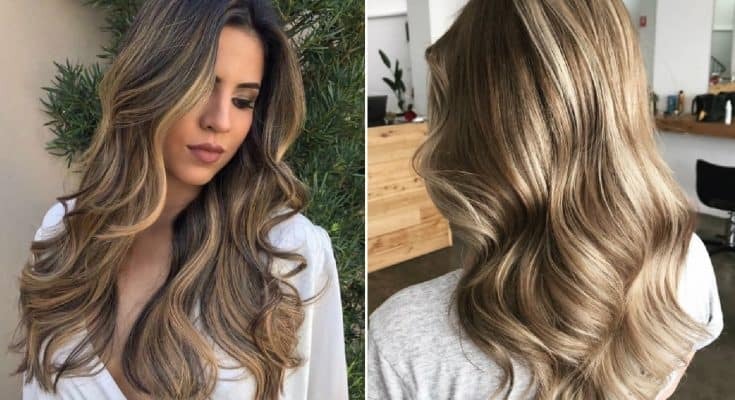 The best part about caramel highlights is their versatility. Being an almost neutral color, caramel can go with every other hair color. 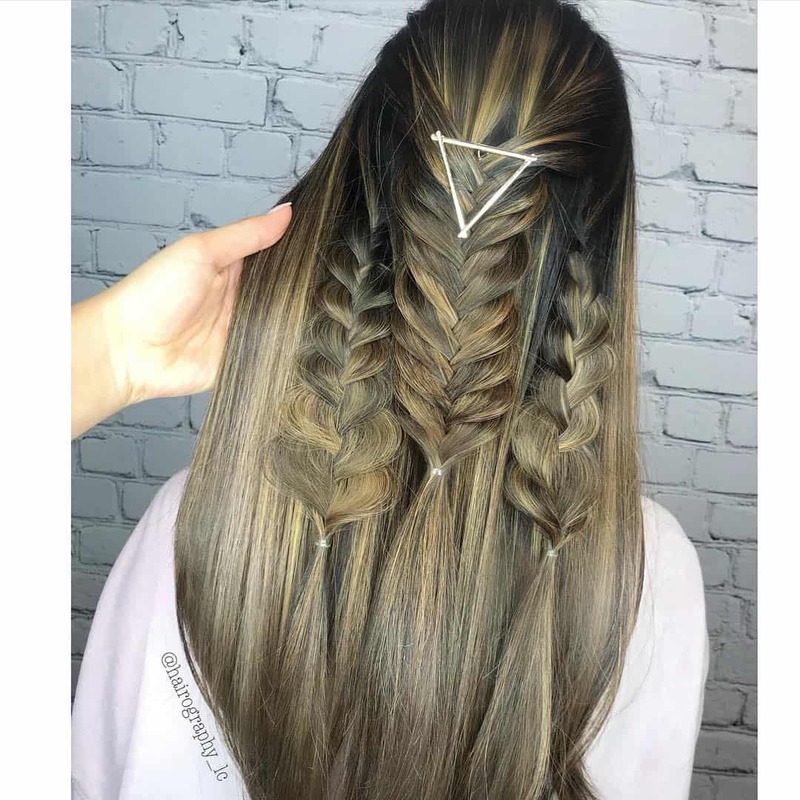 You can apply these highlights on light hair, dark hair, or neutral hair color. 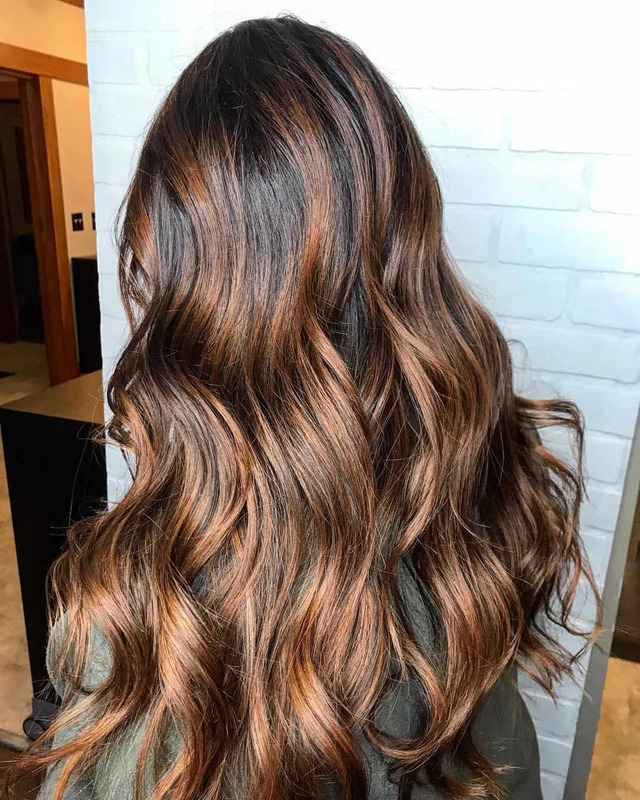 Caramel highlights come from the brown hair color family, and they are ideal for a warmer brunette shade filled with golden hues. But as you can see down the list, the options for these highlights are limitless. 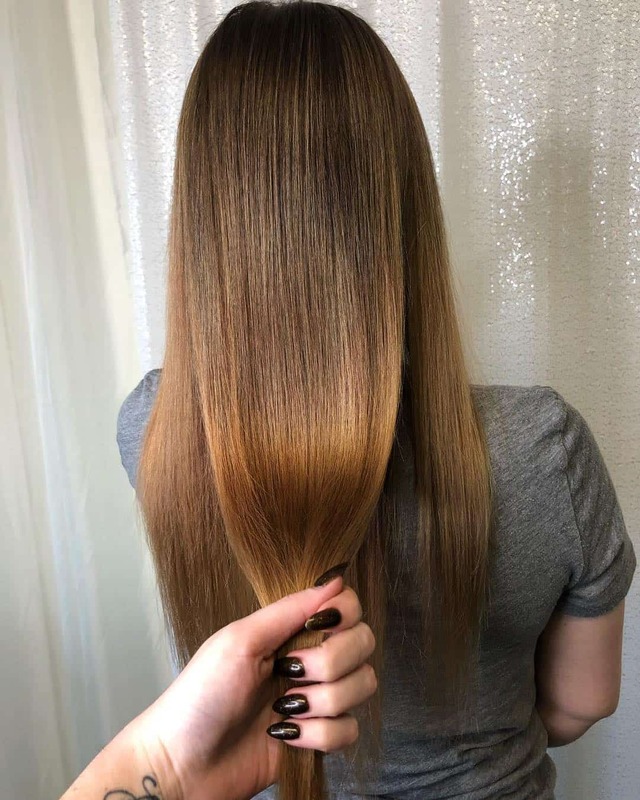 Let’s start with the most natural way to add caramel highlights. 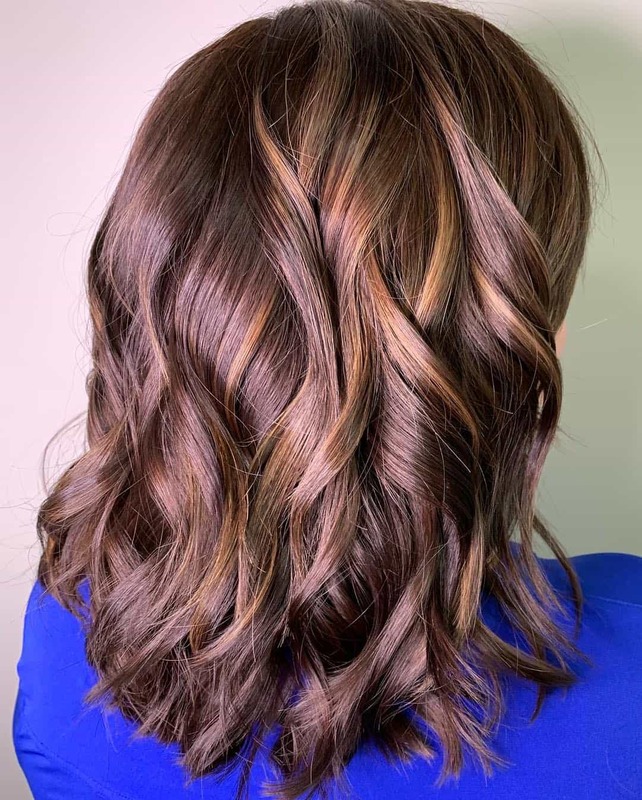 For a light brown hair, these highlights add depth and a bit of color you might be lacking. We mentioned that caramel goes with all other colors. In this case, you add some fiery touch thanks to the reddish hue, but with caramel to balance it out. You do not want to go over the top right? 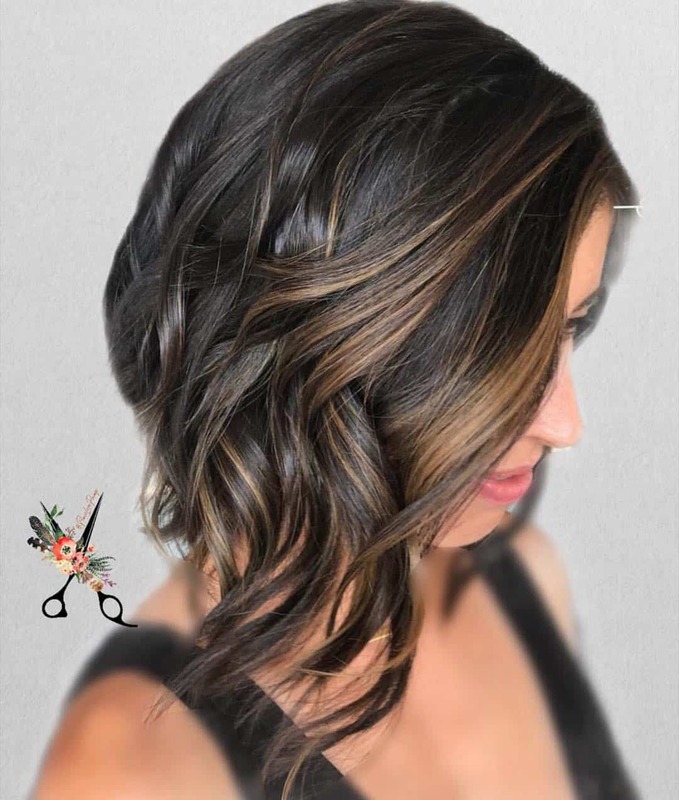 The beauty of caramel highlights is that just a little touch can make all the difference. Even just a small subtle touch can add some playfulness to the hairstyle. And it works on all hair types and hairstyles. Chocolate and caramel are a match made in heaven. And we are not talking about a tasty dessert here. As good as that combination works in a chocolate bar, it works even better on your head. If you have dark hair and you want to add some light and shiny highlights, caramel is perfect. Why? Well, simple, you get to keep your dark hair, and the caramel blends in perfectly. And as a bonus, caramel works with your skin tone ideally as well. Some people add caramel highlights to lighten up their hair, others do it for darkening. 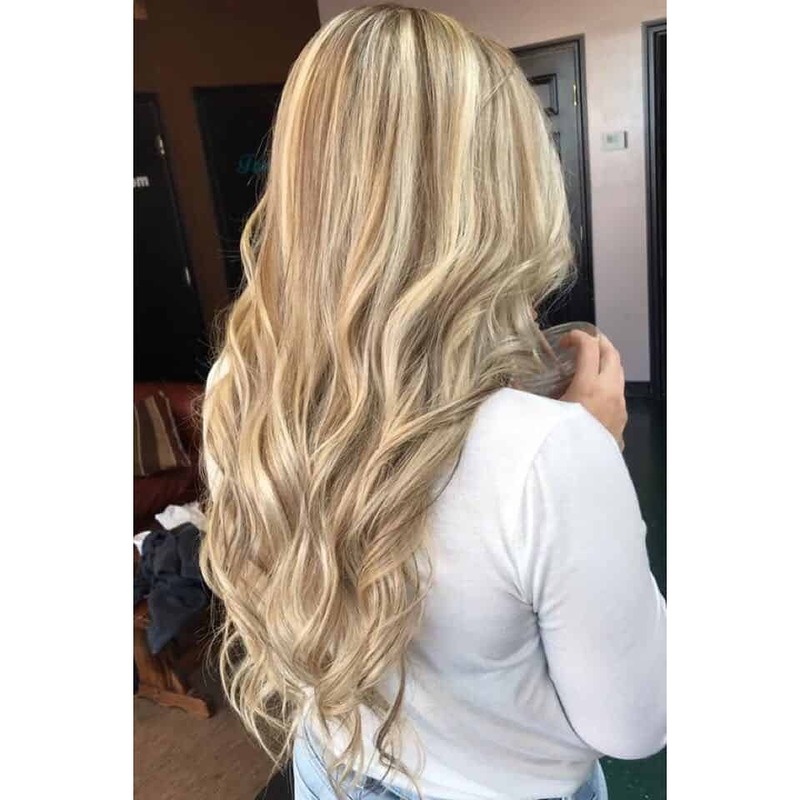 Even if you are not a natural blonde, caramel highlights can do wonders for your hair. 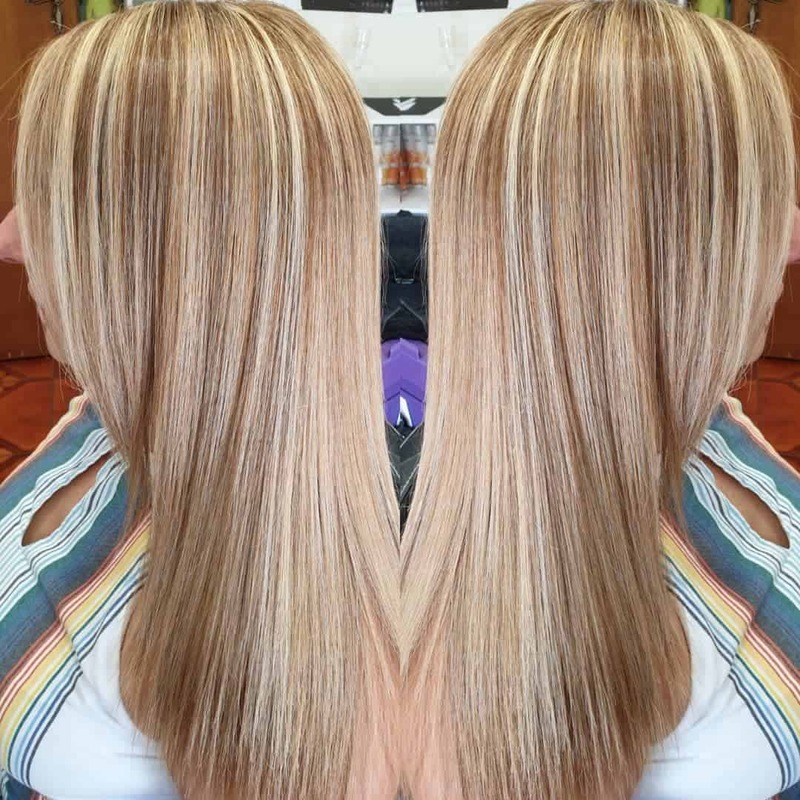 If you are not a natural blonde, the caramel highlights will make your look more natural and less dark roots. 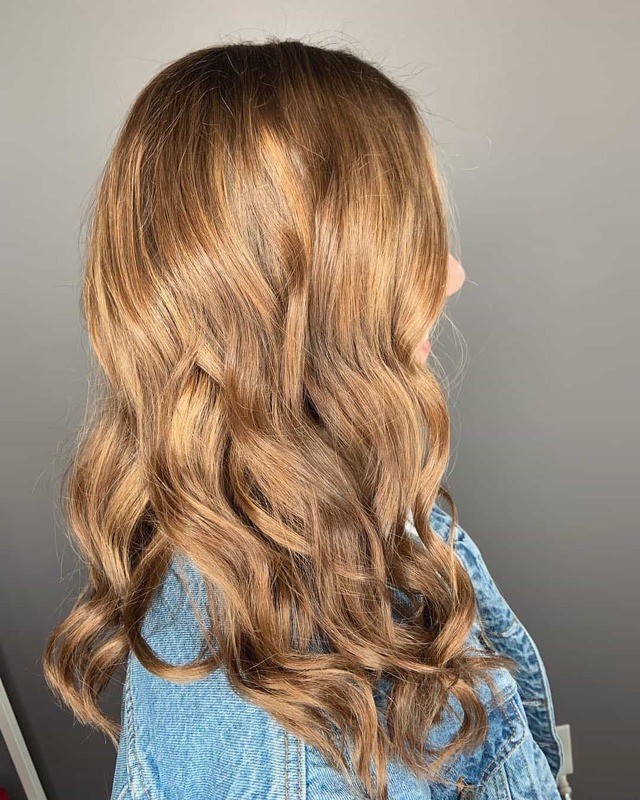 We just love it how caramel highlights look ideal in any scenario. 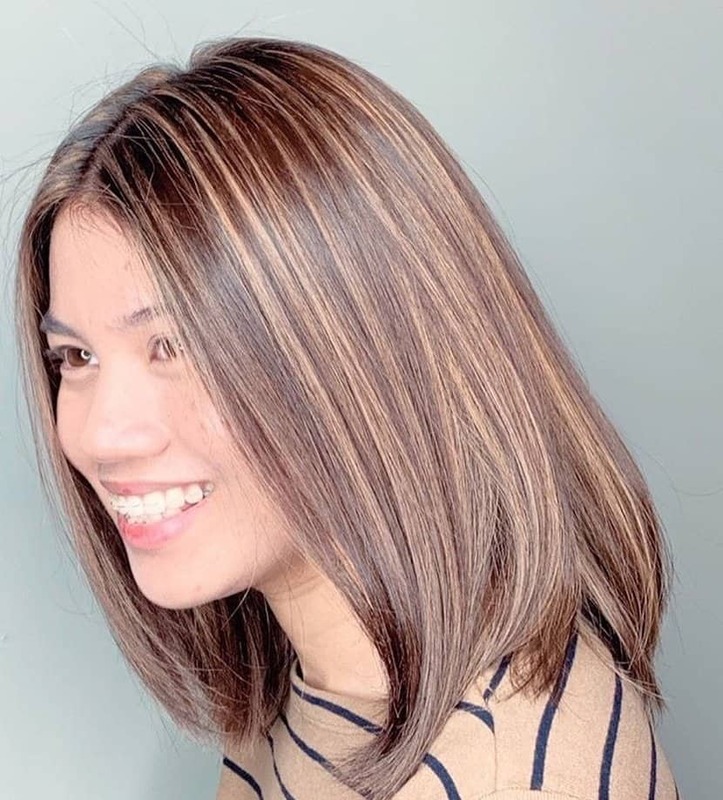 No matter the hair color, these highlights can blend in right from the start. Light brown, dark brown, you name it. You will be forgiven if you cannot notice the highlights in this hairstyle. And that is the beauty. You do not always have to emphasize the highlights. They blend in, and look as they are not even there. 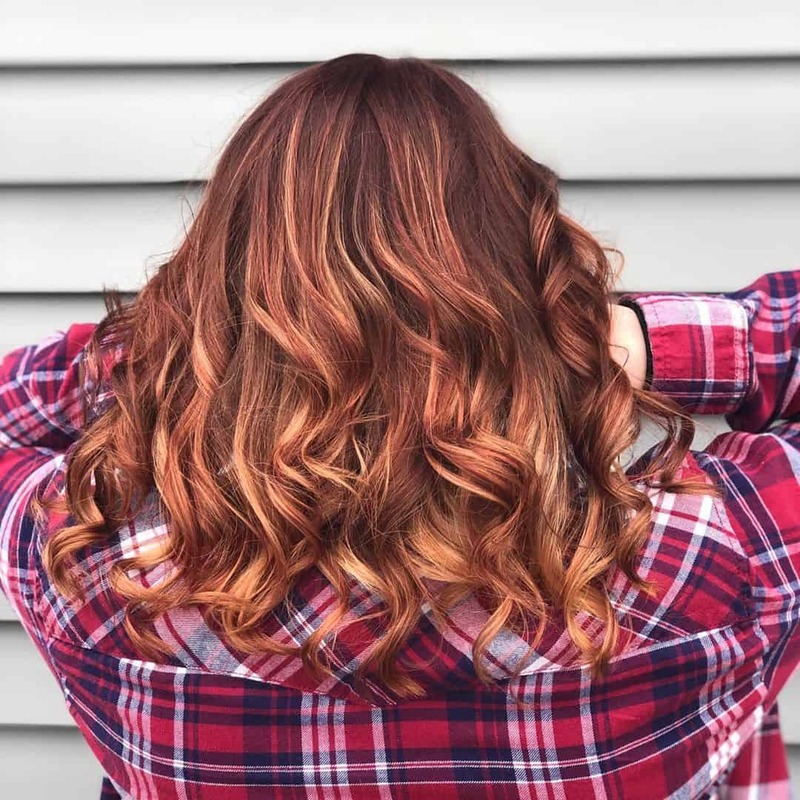 If you thought caramel highlights come in just one hue, think again. 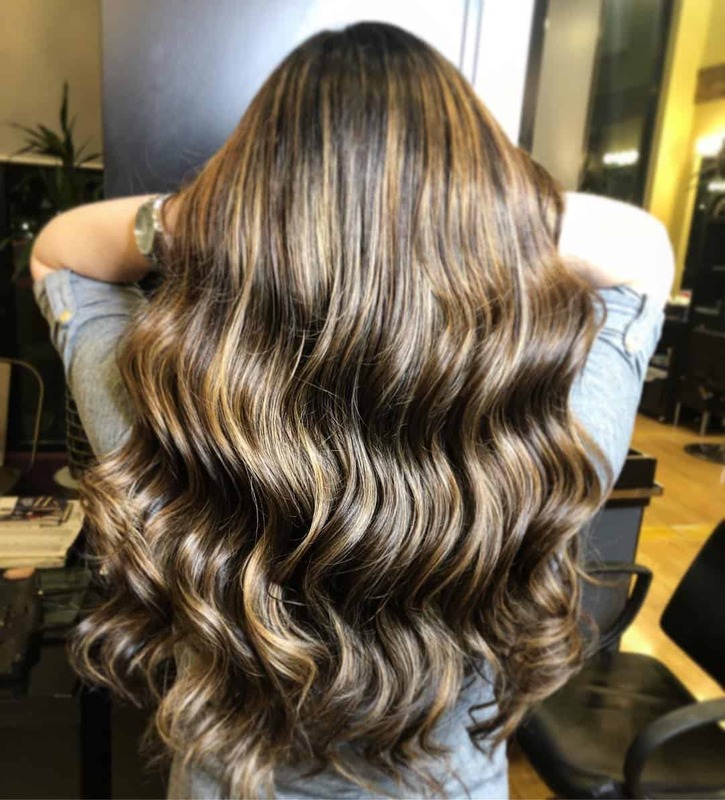 Same as hair color, the caramel highlights can come in a lighter or darker shade. And it is up to you to choose those that work best for the situation. In this case, light, or baby caramel highlights are the way to go. 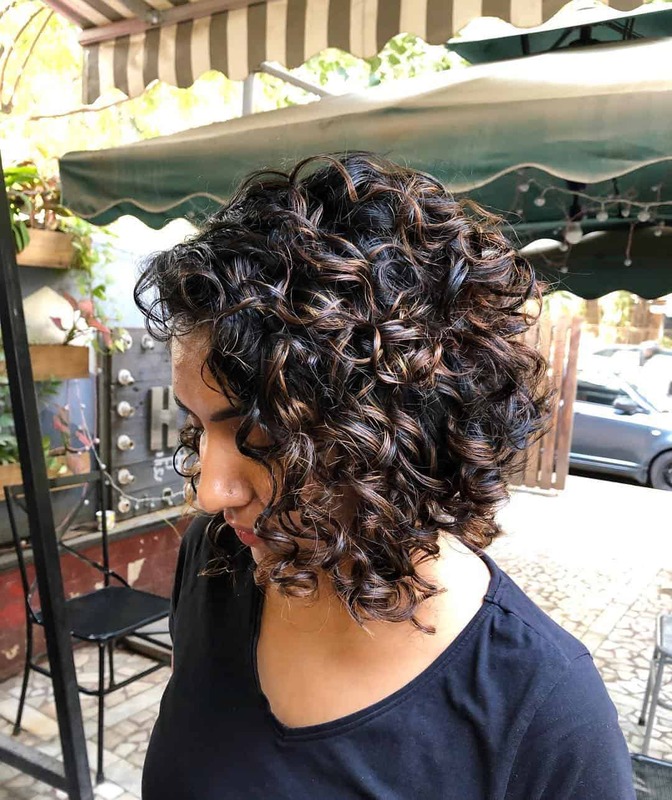 It is just amazing how good caramel highlights look on curly hair. We all know curly hair is playful and fun. Add some touches of color, and you get an even more amazing look. As we mentioned, not always the highlights have to be emphasized. In some cases, they can just blend with your hair color. And when it comes to blonde color, they look just perfect. 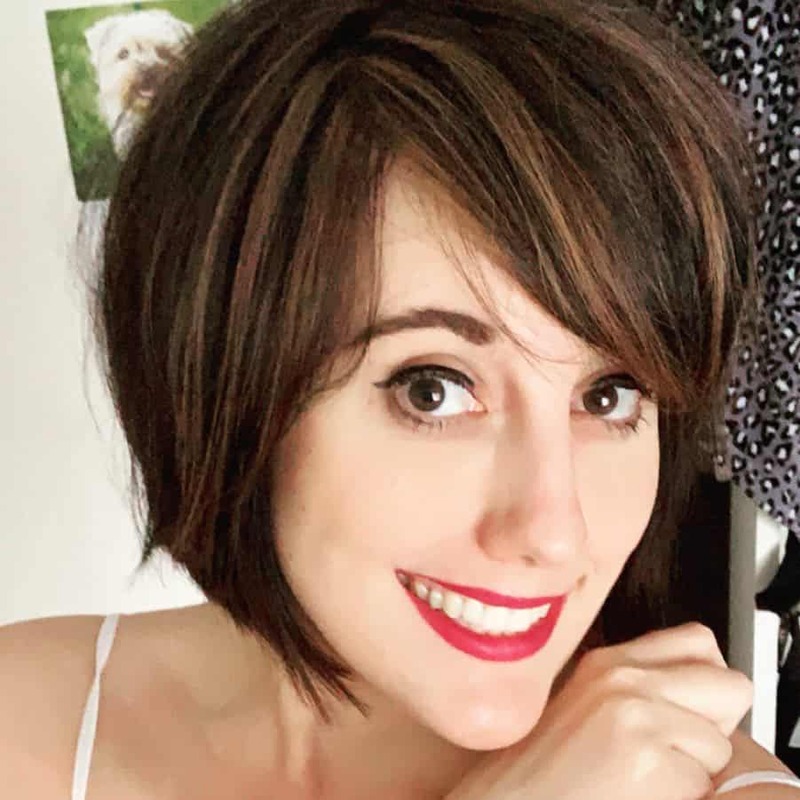 If someone tells you that you have way too short hair for highlights, tell them even on a pixie you can do highlights. And yes, they do look amazing and they are visible. Do not let anyone else tell you otherwise. Smooth hair is probably one of the best when it comes to highlights. They look the best, and are the most visible. Now, smoothing and straightening your hair on a daily basis might not be an easy task. But if you like your highlights to shine, that is what you have to do. These highlights look like golden and shiny. But that is because of the contrast between chestnut and caramel. And word of notice: chestnut is another combination that works perfectly with caramel. As a general rule, everything that tastes amazing in a chocolate bar looks amazing on your hair. 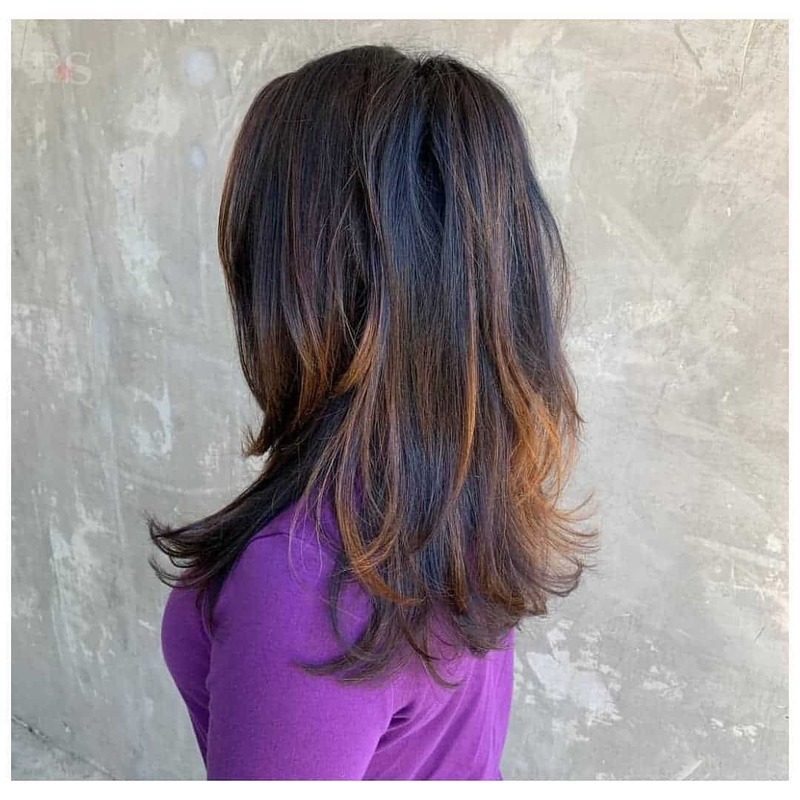 The caramel highlights here help you neutralize the darkness of your natural dark roots. And that is something you absolutely want to do if you want blonde hair on a dark root. 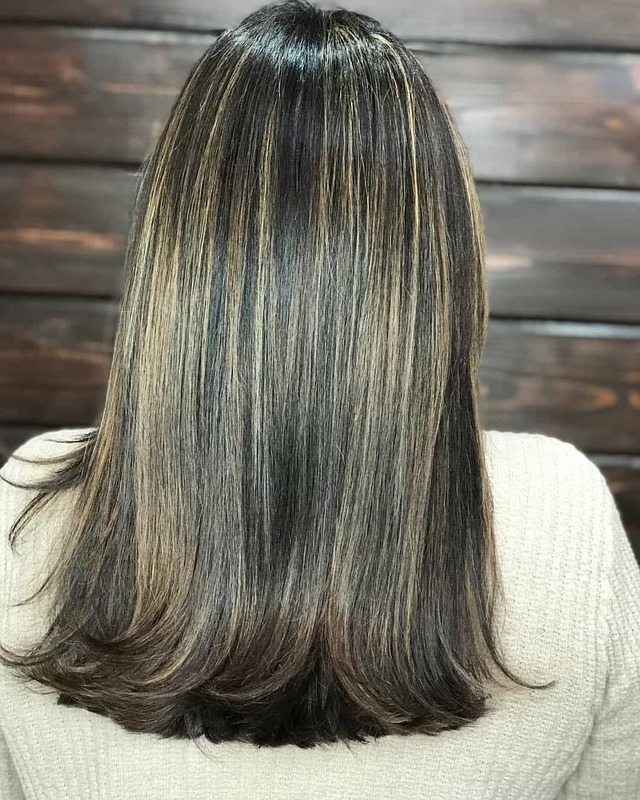 As you can see, when you have neutral brown hair color, highlights are an amazing trick to make your hair look fun and playful. Otherwise, neutral brown can be dull and boring. But just a touch of highlights, and you have a different story. We want to give all of you ladies that want to try the boho chic trend an idea for caramel highlights. 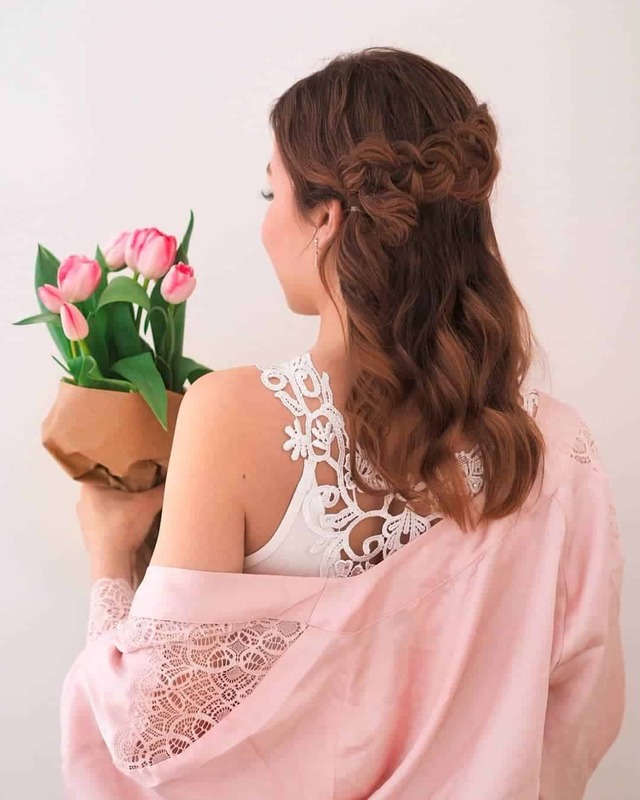 After all, what is boho if not experimenting. Try something different, and see if it fits you. There are just not enough words to describe how perfect match brown and caramel are. 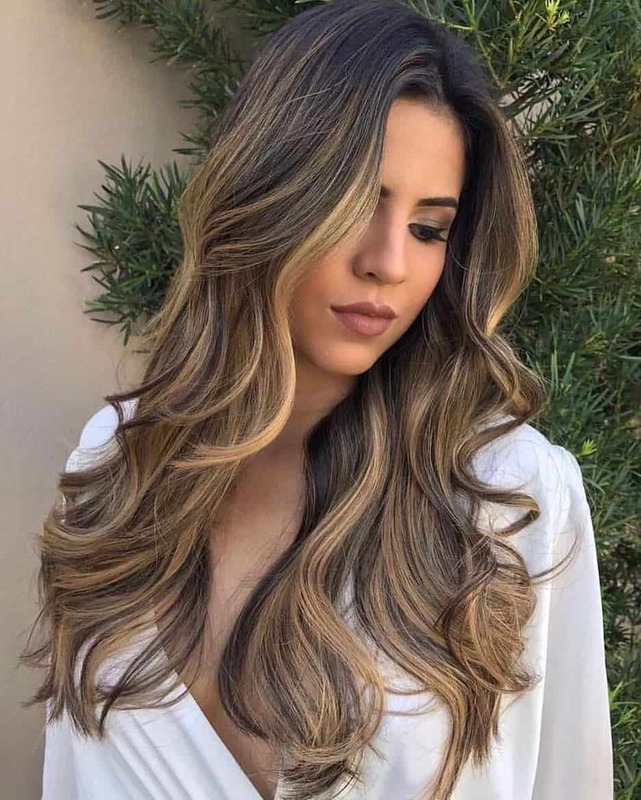 You can do whatever you like with your hair, as long as you have caramel highlights, it will look amazing. Put it a ribbon, do some light waves, or just wear it straight and smooth, it doesn’t matter. It is still amazing. If caramel highlights are not enough for you, the next best thing is a trifecta. That means brown as base, caramel, and golden highlights for a stunning look. Reddish hair? Brown hair? No problem. 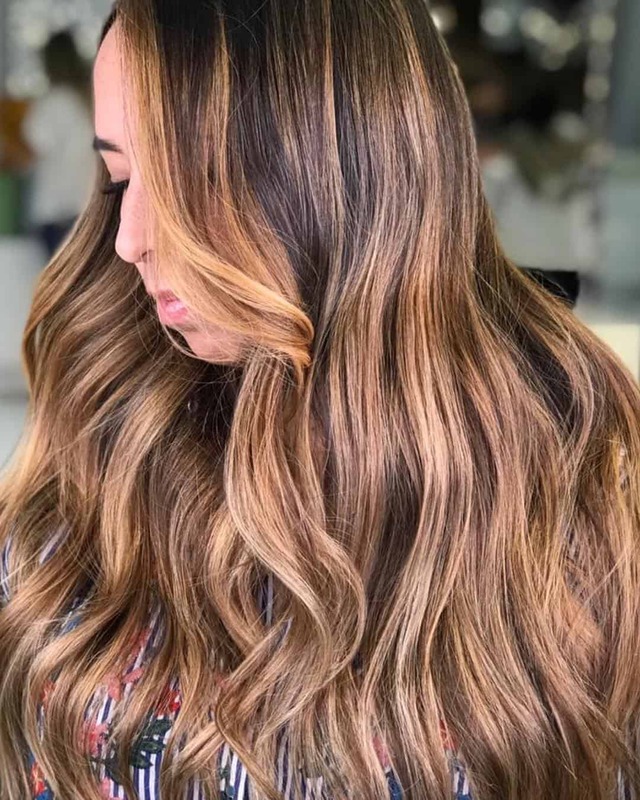 Caramel highlights are here to help you. Some women do not like their reddish base as much. Even though the ginger look is trending, some women want to add some highlights to their reddish hair. Well, here is a solution to that problem. 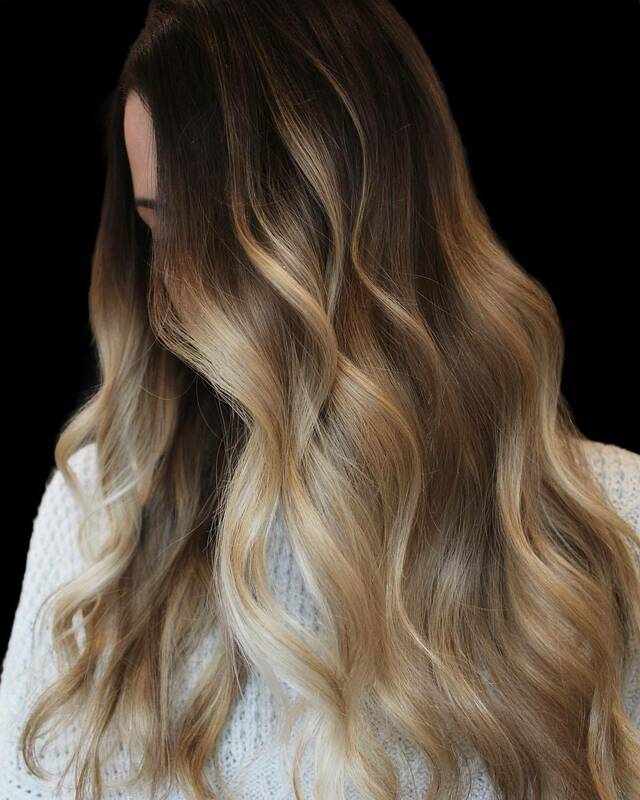 If there is one look that screams beach and summer, that is caramel highlights on waves. You just look at that hairstyle, and reminiscence about the beach, summer, sea, and everything else. 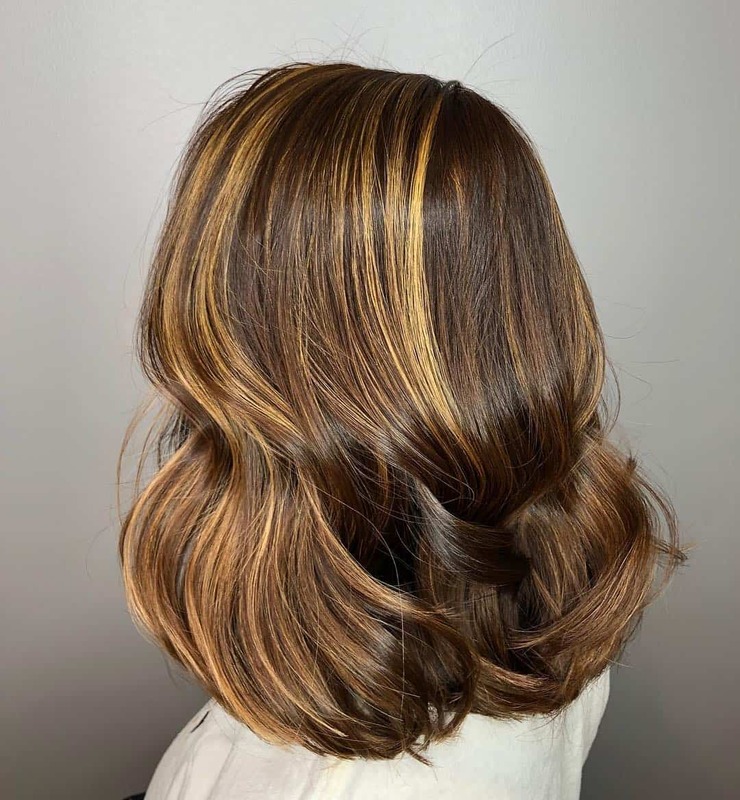 One of the best things about caramel highlights is that they are subtle, yet they give a special touch to any hairstyle. 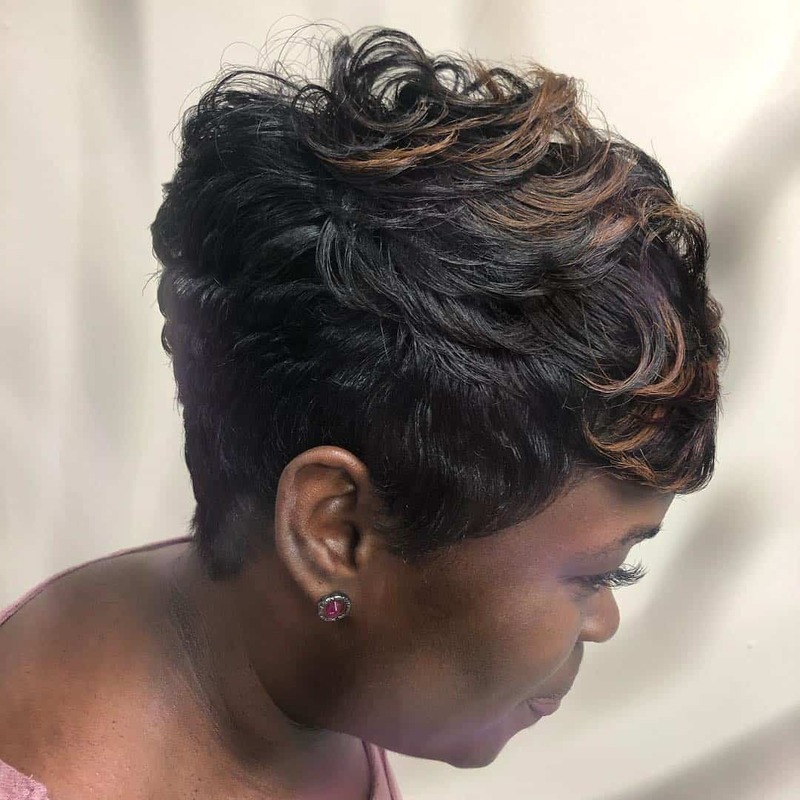 Even if you go with something classic as medium length bob-looking hairstyle. When you want to go from one color to another, caramel serves as the perfect middle-man. Otherwise, dyeing your dark hair brown might look like done by an amateur. But add some caramel in there, and you have a stylish look. 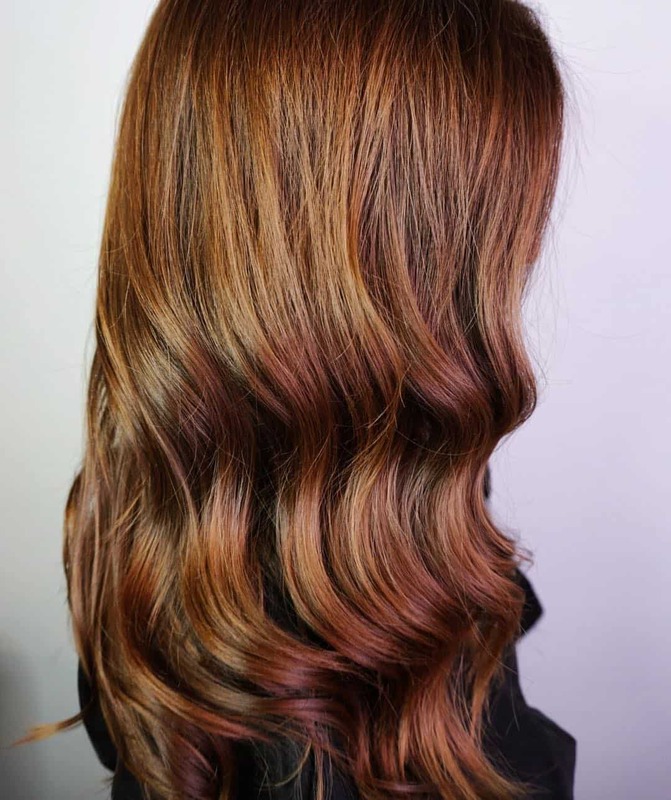 There are a couple of red hues that are just made for caramel highlights. Copper is one of those, as it is a color between red and brown family. Given that caramel highlights come from the brown family, they blend in perfectly. 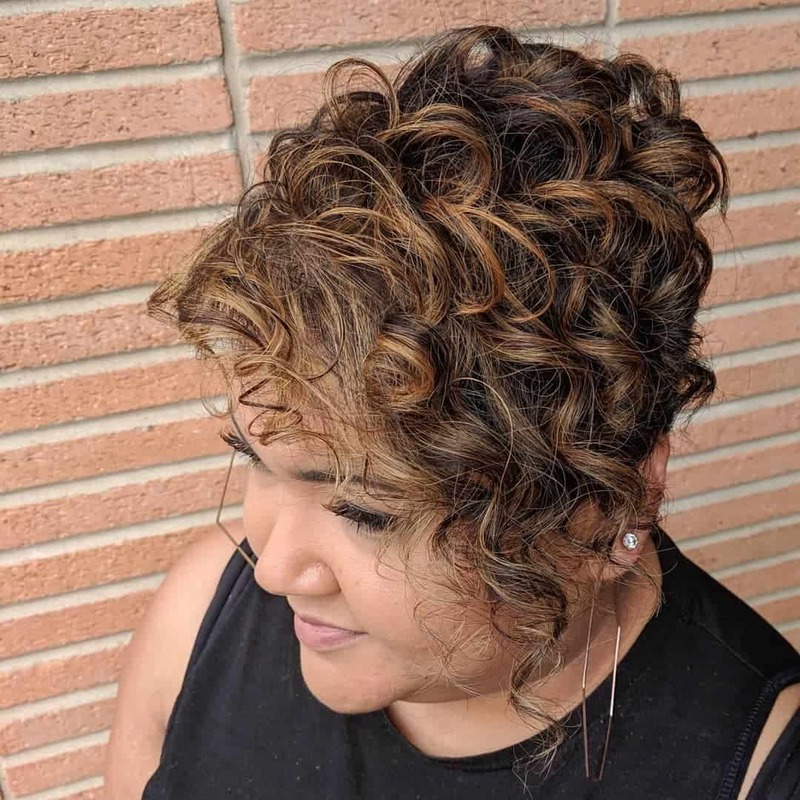 We talked previously how curls are just perfect for adding some highlights. What color you choose is up to you. But today, we recommend trying caramel. Do not be afraid to experiment. As we saw before, you can easily use caramel as middle-man between two colors. In this case, however, we go from brown to dark, with just a touch of some black hair strands. 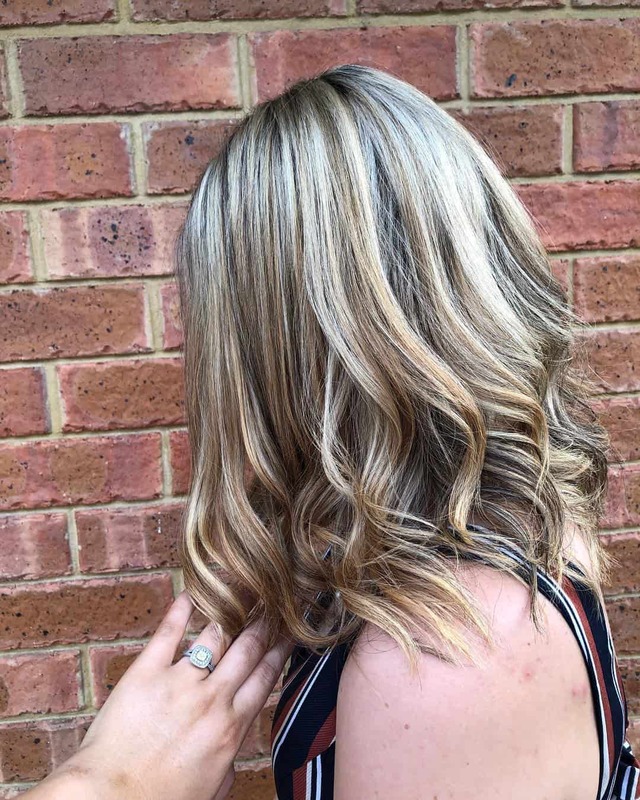 We talked previously how caramel is great when you want to go blonde with brown natural hair. You need something in between to help you balance the contrast and different hair shades. Even rose color works wonderfully with caramel highlights. That is a testament of how versatile this hair color is. 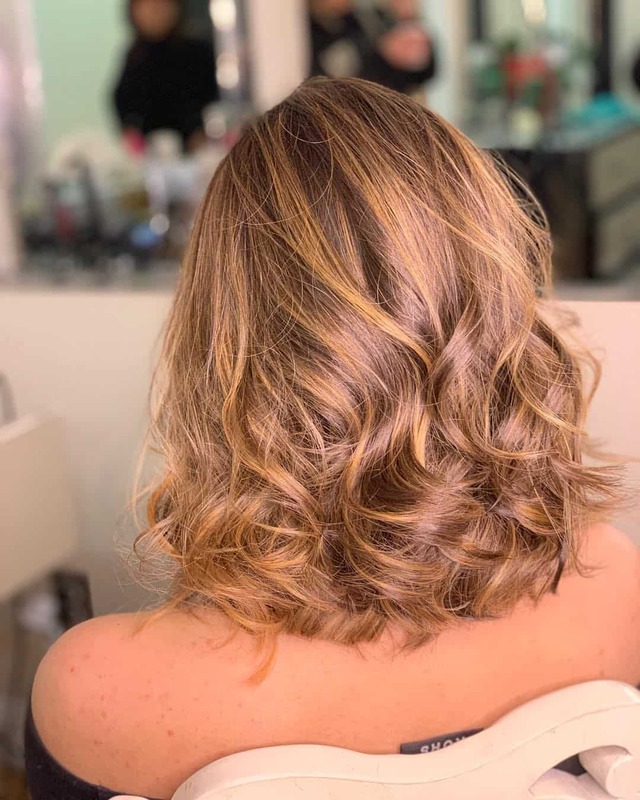 There is a reason why caramel highlights are one of the most sought and popular hair changing treatments. Let’s finish off with something common, yet effective. 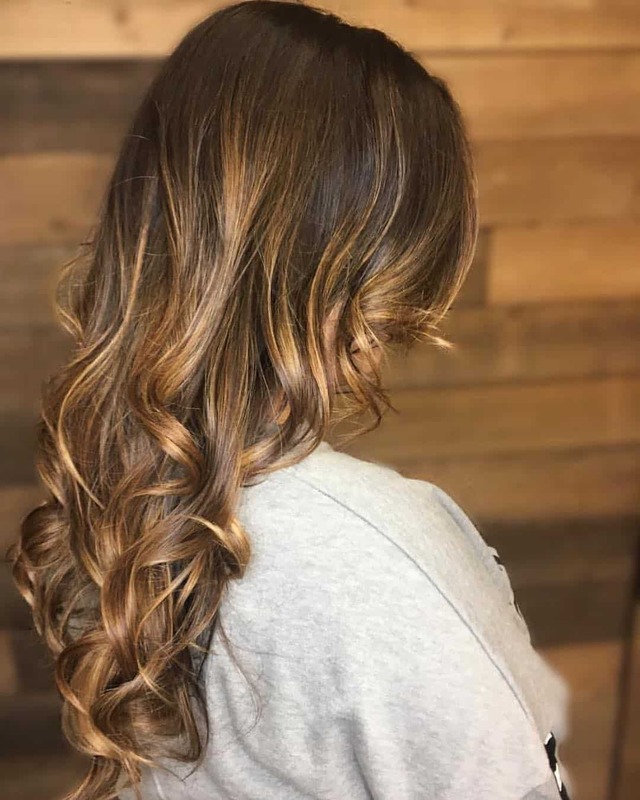 Balayage is a great technique for blending in the highlights with your natural hair color. 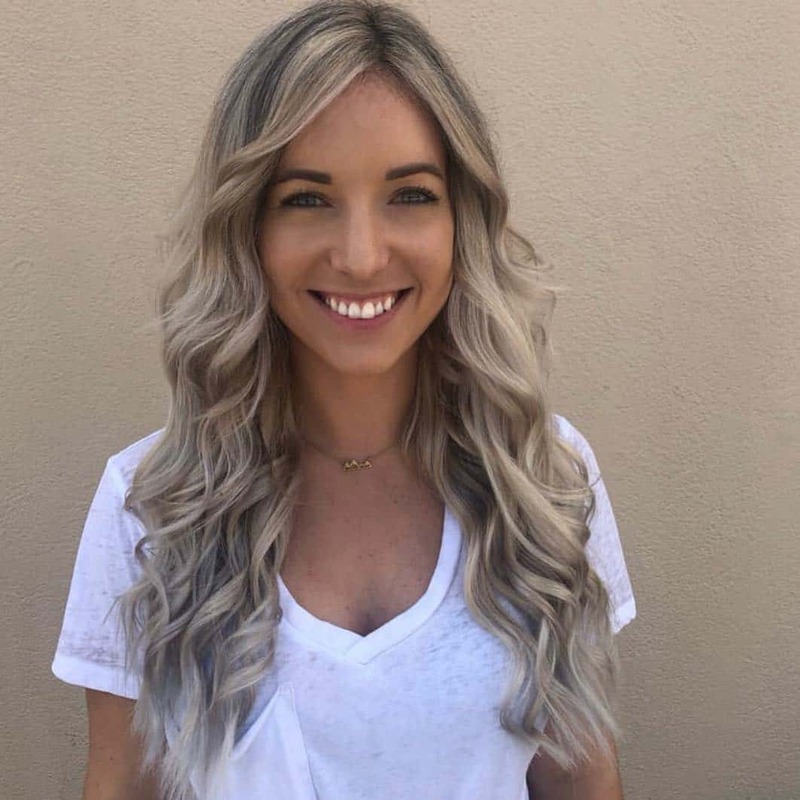 If you do not want your new color to pop a lot, and stand out of the crowd, go for balayage technique. And with that in mind, we hope you found some inspiration and ideas for your next hair treatment.